December 1: 5 POWER Lessons From 5 Leaders Who Made History On This DAY! We bring to you abundance of inspiration from these 5 leaders, whose lives' lessons can be a reason to change your life today! Read on. 1. Your history cannot decide your future. Your identity at birth cannot be decided by you, but it all lies in your hands to define yourself before you die. 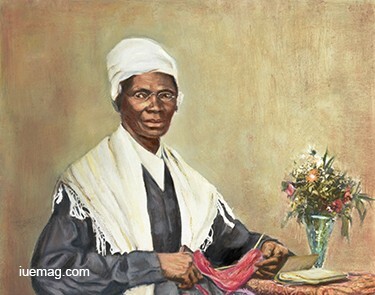 A lesson derived from the life of Isabella Baumfree, very well known to the world as Sojourner Truth , who was born into slavery in New York, was the first black woman to win a case against a white man. Born a slave, Truth had three of her own children sold away from her. None of her life’s struggles could stop her from leaving a legacy of racial quality and feminism that shall never be forgotten by the world. She is very well known for her speech known by the title – ‘Ain't I a Woman?’ , that she delivered at the Ohio Women's Rights Convention in Akron, Ohio. Her way of living is in itself a lesson to the world. Undoubtedly, Truth was included in Smithsonian magazine's list of the "100 Most Significant Americans of All Time". 2. Allow yourself to self-learn. It’s okay to make mistakes and fail. The universe shall align for you to achieve. 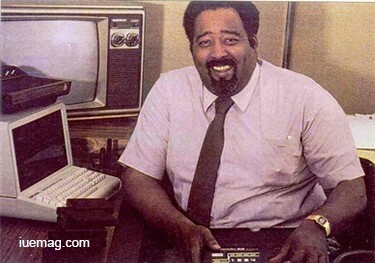 Jerry Lawson, a self-taught engineer was the reason behind the first home gaming console that utilized interchangeable cartridges, the Fairchild Channel F. Had he stopped learning, we may not have been enjoying our video games today in our living rooms. Thanks to his self-learning attitude! Out of the only 2 percent of game developers in 2005 who were African-American (according to a study by the International Game Developer Association), Lawson is one of them. He always said “I’m one of the guys, if you tell me I can’t do something, I’ll turn around and do it”. He was also one of the only two black members at the Homebrew Computing Club, a group of early computer hobbyists which would produce a number of industry legends that included Steve Jobs, Steve Wozniak and other pioneers. 3. Do not allow your duties to stop you from pursuing your passion; your potential is unlimited! Dr. Martin Rodbell could not continue his studies when he had to serve as the U.S. Navy radio operator during World War II, in 1944. He could have utilized it as a chance to build a better career with this profile. 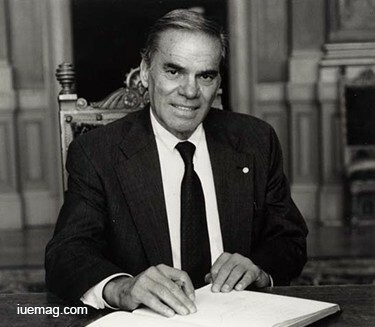 His love for chemistry, which did not stop him from continuing his researches, led him to become a biochemist and molecular endocrinologist, who is best known for his discovery of G-proteins. He also shared the 1994 Nobel Prize in Physiology or Medicine with Alfred G. Gilman for "their discovery of G-proteins and the role of these proteins in signal transduction in cells.” That one decision to continue to work on what he loved, led him to create his identity. A lot of people today stop pursuing their passion for the sake of building a career or to perform their duties. Don’t forget to resume what you paused, for you might be the reason to create something that never exists. 4. The secret to continuously move forward in the path towards success is by sticking to your decisions and not altering your dreams to convince others. Bal Sitaram Mardhekar was a Marathi writer who brought about an absolute shift of sensibility in Marathi poetry. 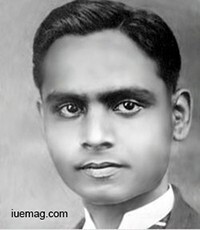 In 1948, he was charged and tried for obscenity for his poems in Kahi Kavita. Mardhekar did not stop writing, though his life was almost turned into hell. His strong will to continue without second thoughts, led him to be widely known for introducing modernism in Marathi literature post Keshavsut era. 5. Your age cannot define your potential; you might be too young or too old when you start, but the lack of experience or being old is never the reason for one to not succeed. 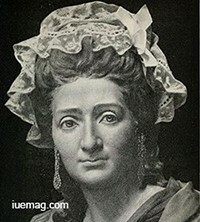 Marie Tussaud, the woman behind one of London’s most popular tourist attractions, created it at the age of 74. Tussaud, born in 1761, was a German wax modeller and the founder of ‘Madame Tussauds’ – the very well-known wax museum of Britain. Known as the woman of 19th century with the most successful career, she made her first wax figure at the early age of 17. This phenomenal lady who asserted to have given art lessons to Princess Elizabeth, the sister of Louis XVI, was also recruited, due to the reign of terror during the French Revolution, to create death masks of the most famous guillotine victims, which included Louis XVI and his wife, Marie Antoinette. It was at the age of 74, in 1835 that she set up her first permanent exhibition space in London. Her last work was a self-portrait, which she created at the age of 81, eight years before she died. Indeed, Madame Tussaud is a perfect example, who proves how age cannot be a limit to create a mark of your own. Any facts, figures or references stated here are made by the author & don't reflect the endorsement of iU at all times unless otherwise drafted by official staff at iU. This article was first published here on 1st December 2016.